Jagannath Puri is one of the four holiest places for Hindus (Char Dham). 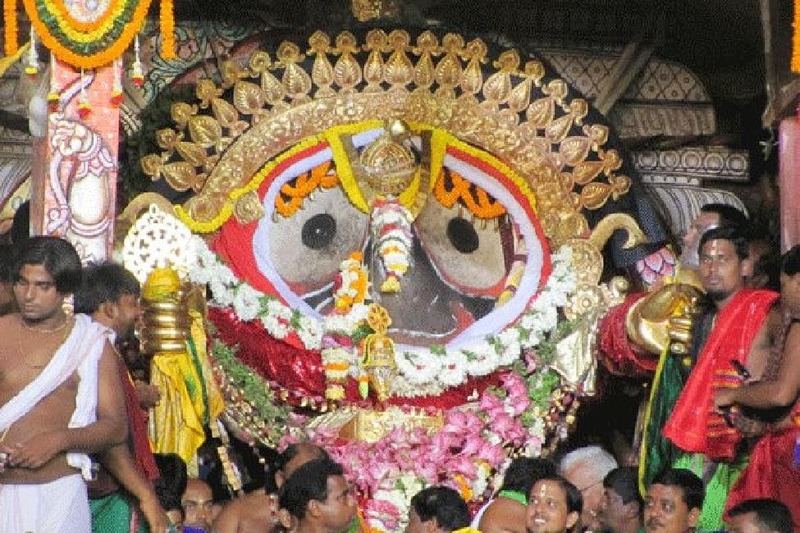 It’s the land of Lord Jagannath who is worshipped as one form of Lord Vishnu. In the Statue of Lord Jagannath, There is one mysterious object which is called “Brahman”. It is believed that the Brahman is a part of Lord Krishna’s physical body. After the death of Lord Krishna, Arjun along with his other brothers cremated him in pyre. The whole body of Lord Krishna was turned into ashes, but the heart (pinda) of Krishna was still burning for years. Following a divine order, they threw the heart in the sea. It is said that this pinda or heart was seen floating as daru (log of a tree) in the sea. King Indradyumna, who was an ardent devotee of Lord Jagannath retrieved the log. This log is now called as Brahman which is inside Lord Jagannath Statue. In every 12 years during the Naba Kalebara, The statue of Lord Jagannath is changed, However The Brahman is never changed. Its transferred to the new statue. What’s interesting here is that nobody till date has been able to experience what actually is this “Brahman”. When asked of their experience at this time, the Dayitapatis say, “It is very difficult to express what Brahman is. It cannot be seen or touched. Our eyes are blindfolded and our hands are covered with cloth when we carry it. Yet a powerful feeling is very much present, like a rabbit jumping in our hands. This is our experience. Beyond this, exactly what this Brahman is that is so powerfully felt, nobody is able to say”. It is told that If anybody sees the Brahman, will die. The Government of Odisha therefore orders a full blackout of light on this one night in the whole town of Puri.